Internet Buttons is a webtool that makes the Internet super easy. You can set up a page of personalised Buttons that click through to your favourite sites or services. Your personalised page of Buttons is saved on its own personalised URL that you can access from any computer. It removes all the complicated bits of the internet and makes it easy to keep going back to the places you want to visit. There are loads of helper bars, tips and advice that explain how to use the site and how to get more out of the web. 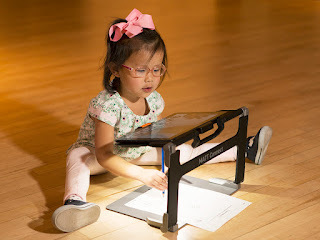 It's the perfect thing for anyone new to the net, for children, or someone with low vision or a disability that makes traveling the world wide web difficult. So if you know any one flummoxed by tweets, links and pokes or who'd appreciate learning how to email, Skype, or shop online, why not set them up with a page of Internet Buttons today! Click this link to visit http://internetbuttons.org.